SKS USA is the presenting sponsor of the 8th annual Worst Day of the Year Ride to be held in Portland, OR on February 15, 2009. The ride, held around the date of Oregon's worst weather ever recorded (in 1933) features an 18-mile urban tour and 40-mile challenge route in one of the world's top cycling cities. The 3,000 participants will enjoy five stops along the route for warm drinks, snacks, soup and brew. 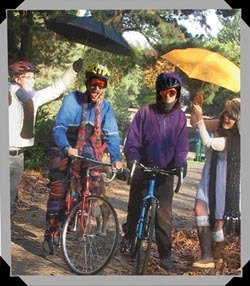 This quirky urban ride has quickly become an annual tradition in this bicycle friendly city and cyclists participate rain or shine.